﻿ IVE Solar Car in Bridgestone World Solar Challenge 2017 | Tong Seng Company Limited. Tong Seng Comapny, together with Bridgestone, sponsored Hong Kong Institute of Technology (IVE) to develop the sixth-generation solar car SOPHIE VI. 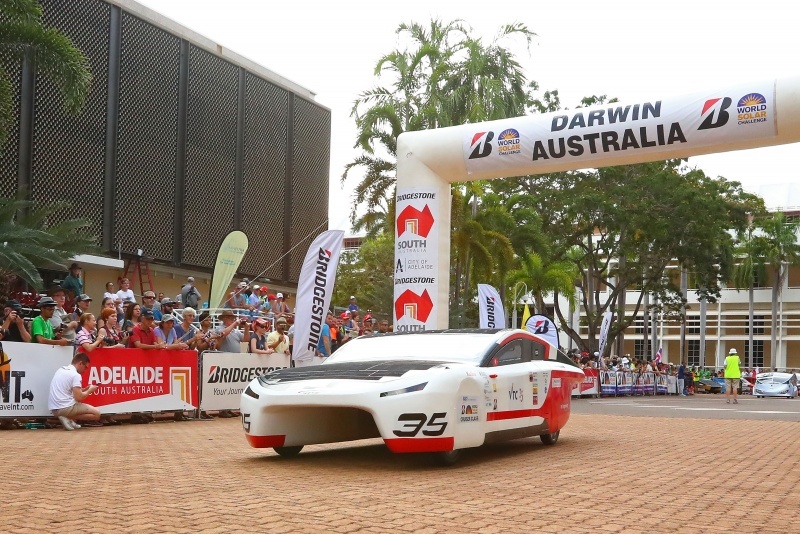 Year 2017 marked the second attempt of SOPHIE to compete in the cruiser class of the World Solar Challenge in Australia. This is also the first time for IVE to use our sponsored ECOPIA ologic tyres for actual competition. Sophie VI beat the US team in the 3000km journey and was honoured as the 3rd Runner Up in the competition. Sophie VI has prove to the world the excellence of our engineering student of Hong Kong.